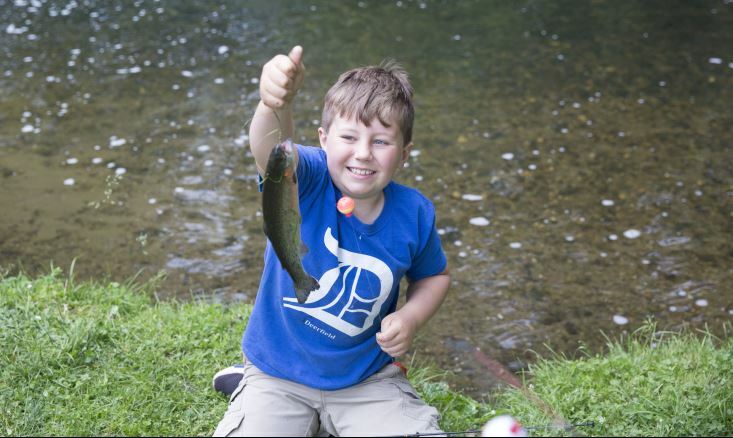 River Day: Fishing + Family = Fun! 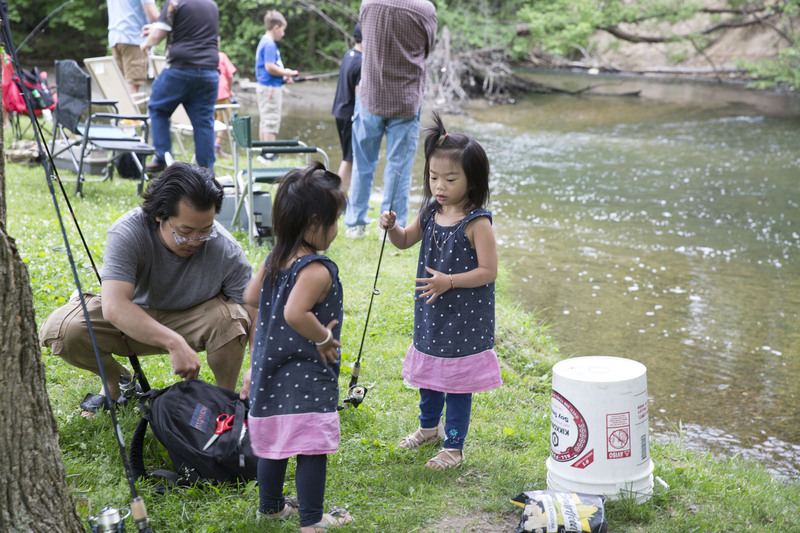 The fish were biting last Saturday, during the 15th Annual Auburn Hills Fishing Derby. Sixty-seven kids (and their parents) braved the unseasonably chilly temperatures for a chance to catch one of the 850 rainbow trout that were released into the Clinton River at Riverside Park. Volunteers from Vanguard Trout Unlimited assisted participants with fishing gear and helped unhook fish, which was helpful with many kids landing more than one fish that morning. 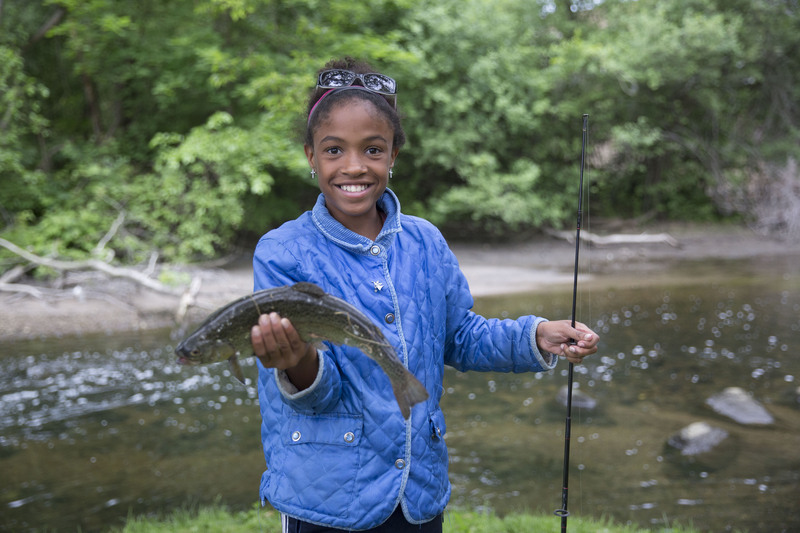 One of the main reasons so many kids caught a trout that day was due in large part to the generous donations made by Detroit Metro Steelheaders, Clinton Valley Trout Unlimited and General Towing. Their donation enabled the City almost to double the amount of trout released for the event. While not every kid was fortunate enough to catch a trout, everyone walked away with a raffle prize. Prizes included tackle boxes, fishing nets, hats, Uncle Buck’s cheese curls and over 60 slightly used rod and reel combos donated by Bass Pro Shops Outdoor World. 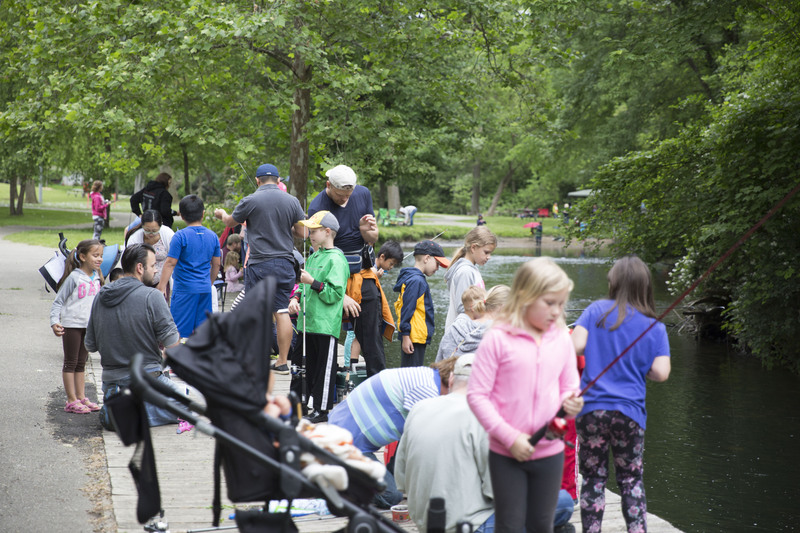 If you missed the derby, there are still plenty of fish and time to test your fishing skills in downtown Auburn Hills Riverside Park or River Woods Park – both located along the banks of the Clinton River. For information on what action you can take to protect our water resources and our resident trout population, please visit www.auburnhills.org/stormwater.php or www.crwc.org. 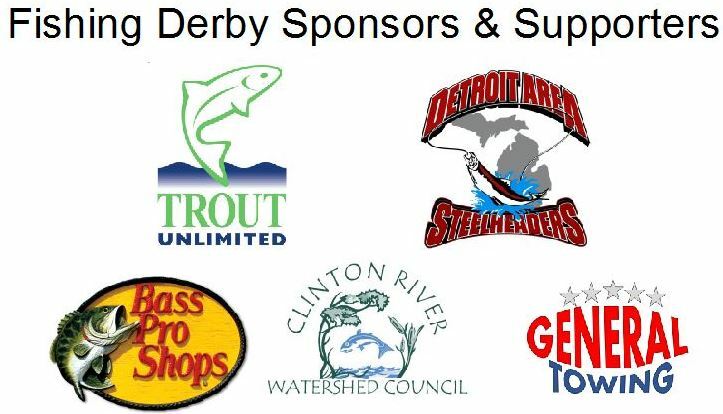 A special thank you to all our Fishing Derby sponsors and supporters.